It’s the start of another work day and you’ve just settled in at your desk — a place where you spend one-third of your life. You’re typing away on the keyboard and answering the odd phone call. You head to the photocopier to make copies for an upcoming meeting, where you’ll be shaking hands with a potential new customer. You fuel up with a reheated lunch using the staff room microwave. In your rush back to your desk, you drop a pen on the floor and quickly grab it. At some point, you finally realize it’s time to use the restroom. Sounds like a typical day at the office right? Now stop to think about every surface you touched or interacted with along the way. Yikes. There were some serious germ culprits, and alas…a few days later you aren’t feeling so well. Time to call in sick. I’ve seen this scenario many times in my forty years of cleaning. Germs spread around the workplace like wildfire, hiding on unexpected surfaces, and resulting in various levels of illness. And it’s not just in office environments….it happens in warehouses, retail stores, and of course, healthcare facilities. So it’s obvious that a clean workplace is important, and it’s my job to tell you why. Healthy employees = fewer sick days: It doesn’t take a genius to figure this one out. Check out the stats on this infographic by the ISSA. Sick days cost businesses more than $225 billion dollars each year and result in 54% loss in productivity. Keep your employees healthy by keeping your work environment clean and you will reap the rewards of fewer sick days. 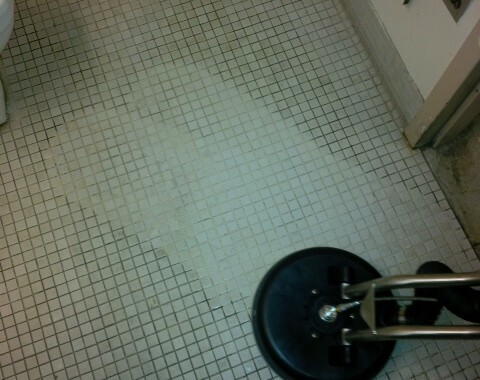 Make sure your janitorial team is focusing on daily disinfecting of surfaces, vacuuming carpets, washing floors, and sanitizing restrooms to minimize the spread. Hand sanitizer wall dispensers help too. Cleanliness breeds satisfaction: You know the feeling when you walk into a room and it’s spotless and smells lemony fresh? It makes me giddy, because I know I’m walking into a clean space. It also improves my energy and satisfaction. The same goes for employees. 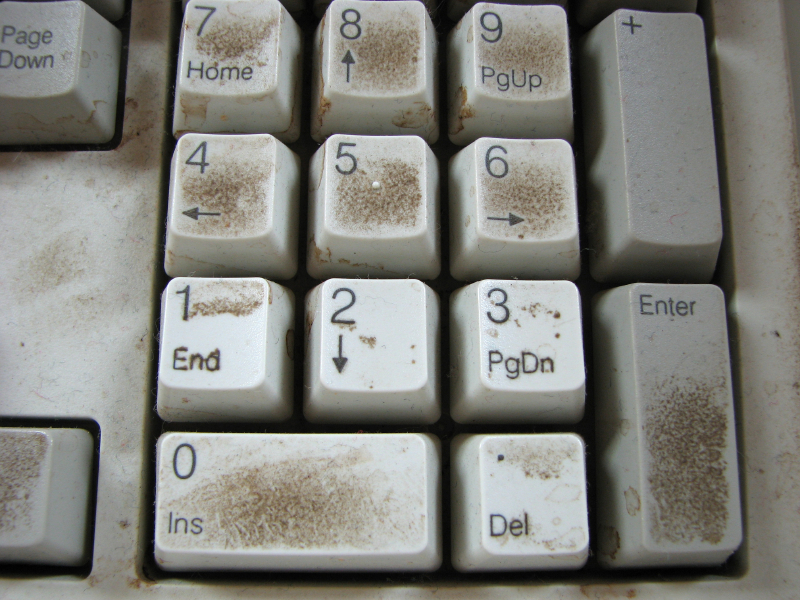 A dirty office affects morale. Honestly, would you want to put your lunch in a dirty fridge, or look past a dirty window ledge or blinds to see outside? Keep a space clean and keep your employees feeling like their workplace is appreciated. 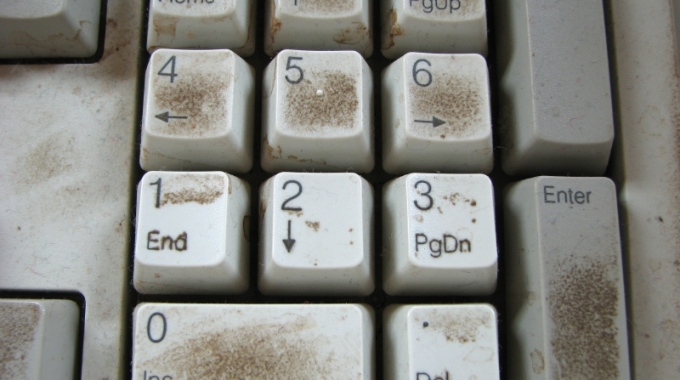 Improved productivity: A dirty environment can be wreaking havoc on your employees and they may not even realize it. I’m talking about the effects that lingering dust and germs can have on their breathing, energy levels, headaches or skin. They may not be visibly sick, but they may be feeling a lack motivation or initiative due to these unsuspecting causes. Improved cleaning practices and quality janitorial cleaning supplies will positively impact the overall health of employees. Bonus – you’ll improve your bottom line by having more productive and present employees! It’s your image at stake: It’s not just your employees who interact with your spaces each day — it’s also your suppliers, potential and current clients, business partners and prospective employees. Do you want them leaving with the next communicable illness and an impression that your workplace is filthy? Didn’t think so. 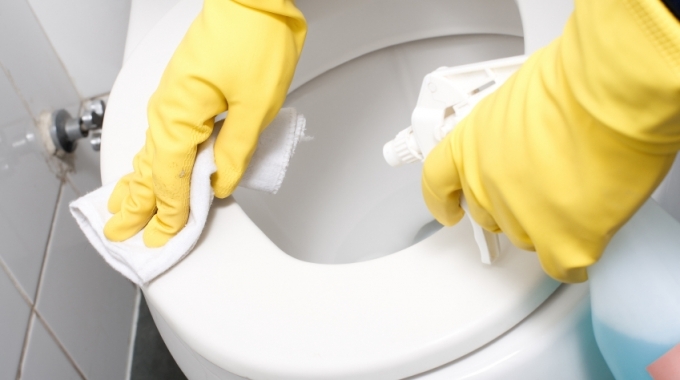 Word spreads just as fast as germs, so make sure you have the right cleaning strategies in place from the front door, to the forklift, to the restrooms, to the boardrooms. Preserves assets over the long term: Let’s switch gears from people now and talk about the expensive assets in your building, particularly carpets and hard floors. If you aren’t cleaning them regularly and with the right cleaning products, you can kiss those lovely carpets and scratch-free, shiny floors goodbye. 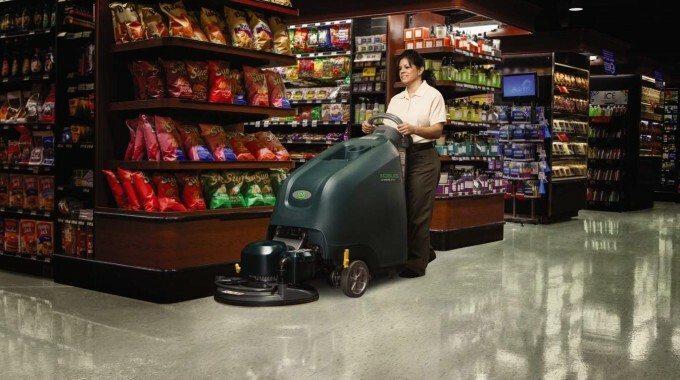 Investing in commercial carpet cleaning equipment or commercial floor scrubbers can make the cleaning process more effective and efficient. This not only makes your carpets and floors last longer, but also improves the time it takes for your janitorial staff to clean them. I bet you didn’t think workplace cleanliness was this important. If you’re ready to put the right cleaning products in place to ensure your workplace stays healthy, and that your janitorial staff cleans effectively, reach out to us and we’ll put together a customized package just for you. And hey, if you aren’t already following me on Twitter or checking me out on Facebook, why not start now? Till next time — stay clean! next post: It Looks Clean, But How Does it Smell?